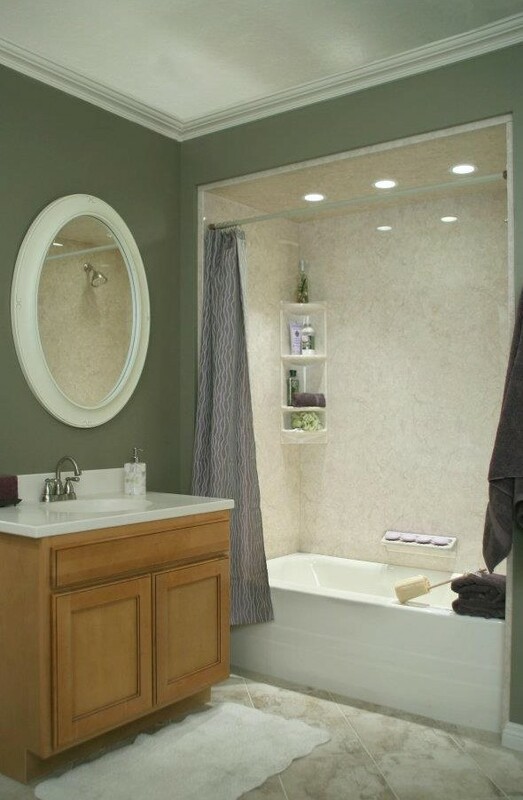 An acrylic bath tub liner is the most economical and effective way to permanently renew your existing steel bath tub. You will turn your old steel bath tub into a new acrylic bath tub with the bright appearance, ease of maintenance, and warm feel that have made acrylic bath tubs leaders in the industry. And the job can be done in less than a day. Our Prolux® Bath tub liners are the best made anywhere. Prolux® uses cross linked acrylic yielding a much stronger, more scratch resistant surface than more commonly used linear acrylics. Prolux® bath tub liners also uses 3 times more acrylic resulting in a bath tub liner that is 4 times stronger than any other on the market. Come in to our Showroom and see for yourself what a difference a day can make. Or give us a call and we’ll be delighted to visit you in your home with samples of what you can expect your new Acrylic bath tub to look and feel like.